Inti Creates have announced that nostalgic 8-bit platformer Bloodstained: Curse of the Moon will be slightly delayed in Europe on the Nintendo 3DS and worldwide on Xbox One. Although the game will still drop on PS4, PS Vita, Nintendo Switch, PC and 3DS (outside of Europe) on May 24, the European 3DS release will now arrive on May 31, with the Xbox One version to follow worldwide on June 6. "This mistake is on us," said Inti Creates in a press release. "We sincerely apologize to the fans affected by this from the bottom of our hearts... This is the first time we have ever done such a large-scale multi-platform, multi-region simultaneous release for a game, and we were unable to properly take into account how much time would be required to get each platform’s online store set-up in each region". 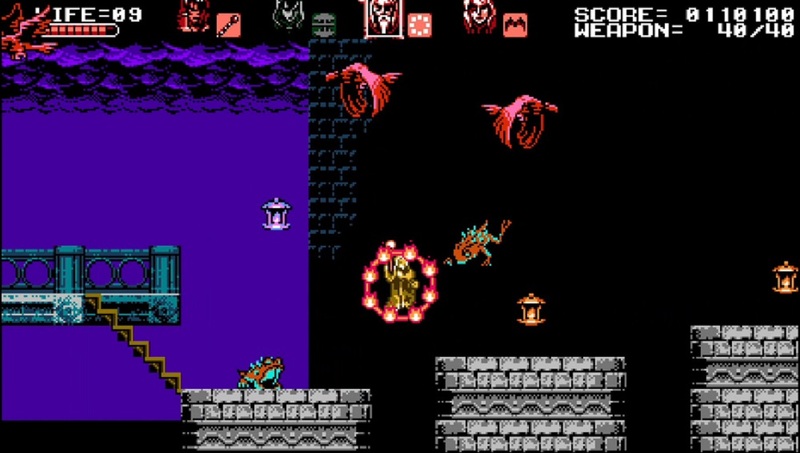 Bloodstained: Curse of the Moon is a 2D adventure in keeping with the style of the classic NES Castlevania titles. It was created as a stretch goal during the Kickstarter for the upcoming Bloodstained: Ritual of the Night, currently in development for release later this year.